Many Fortnite players want to buy skins without spending money on V-Bucks. Fortunately, there are a few ways of getting V-Bucks without paying. "Fortnite Battle Royale" is a free-to-play video game and its developer, Epic Games, makes a profit by selling in-game cosmetic items. These items are optional and they don't affect gameplay. Players who obtain them are not given any advantage as their characters simply look different. 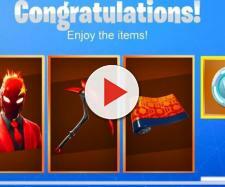 Most of these cosmetic items are purchased with V-Bucks, and the main source of V-Bucks is real money. Fortunately, Epic Games allows "Fortnite Battle Royale" players to earn free V-Bucks playing the game. It is important to note that players cannot earn this in-game currency extremely fast, but they can have a lot of fun doing it. In this article, we will show you how to earn free V-Bucks in the game. 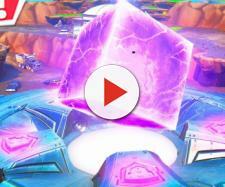 While the battle royale mode is what made "Fortnite" extremely popular, the video game still has it's PvE mode. By playing this mode, players can earn thousands of V-Bucks they can spend in either mode. V-Bucks can be earned by completing missions, challenges, and daily quests. Furthermore, "Fortnite" players will get up to 800 V-Bucks a week for simply logging in every day. In-game missions like Storm Shield Defense reward players with 100 V-Bucks, while most of the daily quests yield 50 V-Bucks. Challenges give 30 or more coins, and players can also earn the valuable in-game currency by completing event missions, sometimes even a few hundred. Additionally, completing the collection book will reward players with some V-Bucks. Players who don't like playing the PvE mode of "Fortnite" can simply earn the currency by logging in every day. They will get in-game rewards every single day, including V-Bucks every seventh day they logged in. The seventh day will give players between 150 and 800 V-Bucks. Battle Pass costs only 950 V-Bucks, yet completing it gives players over 1,000 of this in-game currency. While this method is much slower and doesn't reward as much V-Bucks as the PvE mode, it is still effective and players can earn enough to afford another "Fortnite Battle Royale" Battle Pass from it. Epic Games has rewarded players for placing in the top 100 in competitive modes. Players can earn thousands of V-Bucks by placing higher on the leaderboard. For example, the Solo Showdown winner was rewarded 50,000 V-Bucks. There are a lot of websites which claim that "Fortnite Battle Royale" players can earn free V-Bucks by doing various tasks. However, this is not true. At the moment, there are currently only two methods of getting the in-game currency, and nothing else works. It is important to keep your account safe and not to share your information with anyone. If you want free V-Bucks, either get the PvE version of "Fortnite" or Battle Pass or simply win tournaments.